Best Ice Fishing Rod Case | Top Models Compared! There are many ways to catch a fish, but if you prefer the traditional sport of ice fishing, there are many cases to help you travel and be prepared to fish, regardless of which kind of rod you own. The best ice fishing rod case for you is out there, however, here are some of the most popular cases that fishers use for ice fishing. Not all of them are the same, however; they come in different sizes, shapes, styles, and features to accommodate different types of anglers. Which case is the best for ice fishermen? That if what we intend to find out for fishermen like you. Why do I need to buy a carrying case for my ice fishing rod? How can I fit an ice fishing rod inside of a fishing rod case? Is it better to buy a case that is larger or smaller? The first case comes from Plano, while it is most ideal for carrying a hunting rifle or other firearm, this can also hold ice fishing rods just well. This case features a molded in handle that helps to retain the shape of the case. If you are not open to the idea of buying a case that comes with a noisy, lunchbox style handle, this is a great option for you. The Plano case is made of thin plastic, when holding it, it doesn’t necessarily feel safe. While the inner padding is very cushiony, the exterior could always be thicker and sturdier. The case closes with snapping latches that are also lockable. One glaring flaw with this case is that its interior is fairly little. While the inner padding is enough to keep the contents inside safe, we would have hoped to expect there to be more room for bigger ice fishing rods. As this case does not fit every gun, it will surely have complications for at least a few people using it to store their fishing equipment. All in all, this case is simply not ideal for ice fishing. This next case is from Celcius. This is a very comfortable bag, so carrying it and having it with you is not going to be a big issue. This is capable of holding rods for up to 30 inches in length. Unlike the first case from Plano, this case comes with a few nifty features for storing other fishing equipment, including tackles and combos. The straps are used for securing combos, so that they do not move when being carried from inside the case. There is also a fairly large storage compartment for other accesories, so you do not need to recklessly have everything along with your rod as you are carrying the case around. The Celcius case has a nice, compact design and has a shoulder strap that can be removed. It is very reminiscent of a school backpack. The downside to using this case is that the rod is sure to move around when carrying it. It doesn’t feel secure, and that is an important feature when looking for a case to carry your ice fishing rod in. This case from Wowelife sounds like a great value. It can house up to 5 fishing rods that strap around the case, and more rods as well as other equipment can be stored inside of it, with plenty of room to spare. This case definitely has a unique shape, but its ability to stand up on its own allows you to have more space when packing other goods for a vacation or fishing trip. There are many different compartments in this case, capable of storing combo, bait, and tackle boxes all separately. The case closes via a zipper. With a removable strap, this case is carried like a large backpack. It is made of polyester for lightweight transport. The problem with this, however, is that while it is convenient to strap rods around the case, you likely are never going to want to do so, unless you use multiple rods in a period of time. Having your rods strapped outside the case will not protect them from any hazards, so this is one thing to keep in mind. This plastic red case from MTM is like a hybrid between a fishing rod case and a tackle box. When it comes to carrying around fishing equipment, this is as traditional as it gets. This case can hold up to eight rods, and all can be placed through notches foam padding from inside the case that will not allow the rods to move out of place as you transport them. This allow you with a little more room to spare for other miscellaneous fishing equipment. Along the lip of the case are four accessory compartments. The case closes with snapping latches that are also lockable. Rather than having foam all throughout the interior, like Plano’s case, this case uses foam very sparingly. In some instances, the foam is not enough to secure the rods successfully, and are prone to falling right out of place while carrying. When this happens, you have to wonder why the foam is even there when it doesn’t work to secure your rods. This next case from Otter feels like it is of industrial quality. It is capable of carrying up to eight fishing rods, but not small tackle boxes that have somewhat of a bulk to them. As this case is made of tough metal, it is sure to last a number of years before you need a new case. If you plan to fish very often, you will get a lot of mileage out of this case. This can be considered an ice fishing rod hard case out of the bunch we have in this list. Everything you put inside this case will remain flat and secure with almost no movements. This is in part due to the tough, soft padding that fills the case. For a case that is supposed to hold your fishing rod, this costs over a hundred dollars, including shipping and handling charges. If you want just a case that is capable of housing all your equipment, this is a hard sell. This last case comes from Frabill. Like Otter’s case, it too can store up to eight different fishing rods. Included is a foam cushion to keep everything safe and stable. This case is not as durable as Otter’s case, but it is still an obvious second place on this list, as it has a slightly thick plastic exterior that many owners would find to feel very secure. What is great about this case is that it has a slim design. If you want a case that is lightweight and easy to carry around, this is a nice choice. The problem with this case, however, is that you are not able to put a long rod inside of it. Only fishing rods that can fold and be taken apart will fit inside this case. For ice fishing rods, look for rods that retract, so that they are able to fit inside this case. A carrying case for your ice fishing rod makes it easier for carrying not only your rod, but potentially other equipment. In your hand or over your shoulder, you are certain to have firm control over your fishing gear as you make your way to your fishing spot and also leave when you are done. Without an ice rod case, you will have to carry each individual piece by hand, making for moments that are not only awkward, but strenuous on your hands and arms. 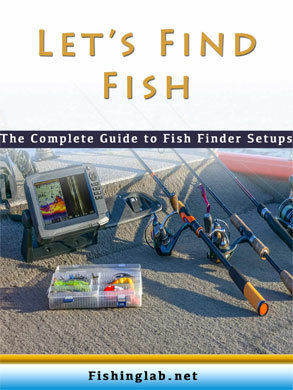 Furthermore, if you drop your case, your rod and your other gear are sure to stay protected inside. Cases are either lined with a wired frame or foam padding to ensure that nothing inside of it breaks or gets damaged. The detriment of an ice fishing rod is that most of them are built in one, long piece. There are newer ice fishing rods, however, that are designed to either collapse or retract, or have flexibility to fold or bend. Most of these fishing rod cases are most suitable for regular fishing rods that you can take apart in multiple pieces. If you are looking to buy a new ice fishing rod, be sure that it is capable of being stored inside one of these slim, narrow cases. The answer to this question depends on what fishing rod you own, in addition to how you wish to travel with this case. Larger cases will be large for the reason that you can store multiple rods and other fishing equipment inside of it. The reason why smaller cases are small is because they are easier to carry and store. Purchase a larger carrying case if having all your equipment together at once is important. Otherwise, buy a smaller case to make carrying your rod lighter and easier. After careful deliberation, the ice fishing rod case that we deem the best for ice fisherman is the Wowelife Fishing Rod Carrier. This is a nice, sturdy bag that you can easily carry with you, despite its bulky size. While there are cases that have some sturdy, plastic exteriors, this is a case that will actually keep your rods and equipment secure and safe without having to worry about pads or other protective inserts failing.